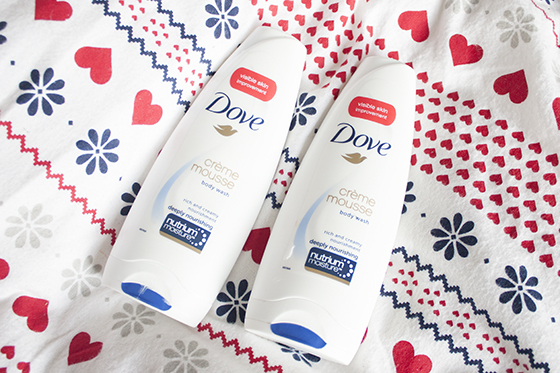 The Dove Creme Mousse Body wash is rich creamy body wash. It has a formula similar to a body cream. It's thick pearlescent crème formula, but it lathers up well to clean the body as well as leaving the skin feeling silky soft and hydrated. After one use it leaves the skin feeling noticeably softer and beautifully nourished, unlike any other body wash I've used before. One of my favourite things about the wash is that it doesn't run or drip in the shower so I don't end up wasting loads of product as it comes out too fast. The Body Wash comes in two varieties in Dove Deeply Nourishing Creme Mousse Body Wash and Dove Brightening Creme Mousse Body Wash. Both variants contain NutriumMoisture technology, which addresses protein and lipid damage to the skin caused by regular shower gels, leaving skin nourished deep down and feeling softer and smoother for longer. Im a bit lazy when it comes to using things like body creams and just tend to focus on my drier areas. I tend to just do my knees and elbows. However since starting to use the Dove Body Wash it's left my skin ridiculously soft, smooth and hydrated that I didn't feel the need to add extra moisturiser to my dryer areas. I think which is will be great going into A/W, Especially as my skin gets a lot dryer so this is definitely one to try out in the colder months if your in a hurry and don't want to waste time faffing around adding body cream after your morning shower. Dove Creme Body Wash retails for £3.71 and is available now from all good supermarkets and chemists.